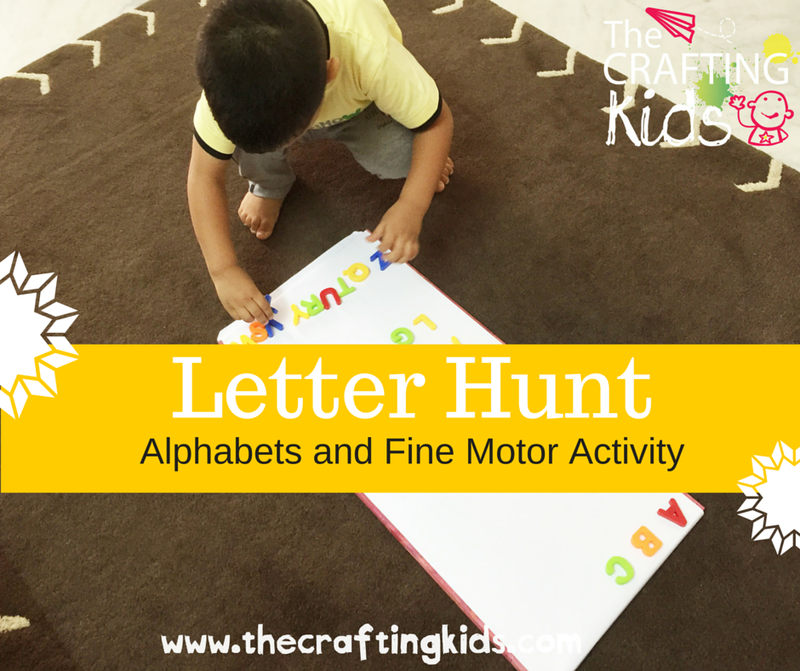 Last weekend Shaunak kept busy thinking, learning for an hour with an enjoyable alphabets plus fine motor development activity- the Letter Hunt! He did it repeatedly and everyday after that he wants to hunt for the letters! This activity is a combination of alphabets/language learning and fine motor skills development. 1. Pack 3-4 letters in each of the small containers. 2. Hide the containers in several corners of your house. 3. Keep the magnetic board at one place. 4. Ask the child to hunt the tins around the house and stick the letters found onto the magnetic board, one tin at a time. 5. Once all the tins are hunted and all the letters stuck onto the magnetic board, the child can then arrange the letters in order. Fine motor skills can be practiced with this activity as it requires the child to use the fingers with force to open the tins' lids and also while sticking and arranging the letters. HAVE YOU DONE ANY HUNT ACTIVITY BEFORE WITH YOUR TODDLER? SHARE IT WITH ME ON FACEBOOK! Let me know if you like the idea! Knead to Talk- a fun kneading activity!